Biological systems are mechanically soft, with complex, 3D curvilinear shapes; conventional semiconductor devices are rigid, with simple, 2D layouts. Electronic and optoelectronic systems that eliminate this profound mismatch in physical properties create opportunities for devices that can intimately integrate with the body, for diagnostic, therapeutic or surgical function with important, unique capabilities in biomedical research and clinical healthcare. Over the last decade, a convergence of new concepts in mechanical engineering, materials science, electrical engineering and advanced manufacturing has led to the emergence of diverse, novel classes of 'biocompatible' electronic platforms. This talk describes the key ideas, with examples ranging from wireless, skin-like electronic 'tattoos' for continuous monitoring of physiological health, to 3D open-mesh electronic mesostructures for active cellular scaffolds. Professor John A. Rogers obtained BA and BS degrees in chemistry and in physics from the University of Texas, Austin, in 1989. From MIT, he received SM degrees in physics and in chemistry in 1992 and the PhD degree in physical chemistry in 1995. From 1995 to 1997, Rogers was a Junior Fellow in the Harvard University Society of Fellows. He joined Bell Laboratories as a Member of Technical Staff in the Condensed Matter Physics Research Department in 1997, and served as Director of this department from the end of 2000 to 2002. He then spent thirteen years on the faculty at University of Illinois, most recently as the Swanlund Chair Professor and Director of the Seitz Materials Research Laboratory. 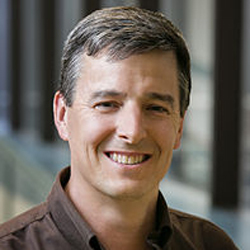 In 2016, he joined Northwestern University as the Louis Simpson and Kimberly Querrey Professor of Materials Science and Engineering, Biomedical Engineering and Medicine, with affiliate appointments in Mechanical Engineering, Electrical and Computer Engineering and Chemistry, where he is also Director of the newly endowed Center for Bio-Integrated Electronics. He has published more than 600 papers, is a co-inventor on more than 100 patents and he has co-founded several successful technology companies. His research has been recognized by many awards, including a MacArthur Fellowship (2009), the Lemelson-MIT Prize (2011), and the Smithsonian Award for American Ingenuity in the Physical Sciences (2013). He is a member of the National Academy of Engineering, the National Academy of Sciences, the National Academy of Inventors and the American Academy of Arts and Sciences.